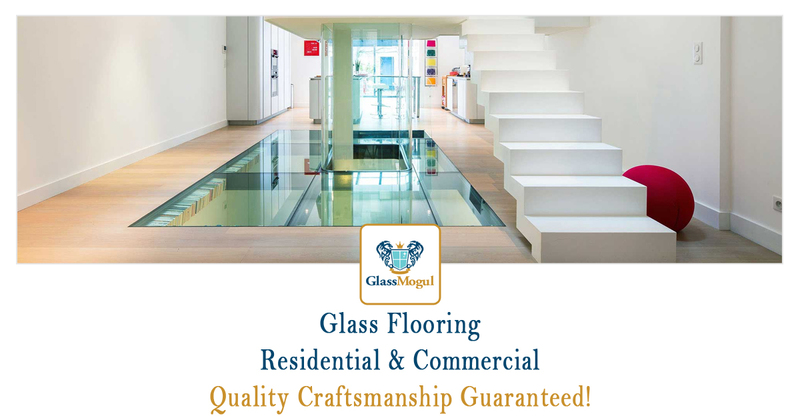 At GlassMogul we service, repair, install, and replace glass floors that come in all shapes and sizes for both residential and commercial applications. Our glass flooring includes an array of styles, such as tile, solid pane, clear, frosted, and mosaics. Boost your property value by adding attractive glass flooring that is sure to make an impression on your guests. Similarly, if you have a professional office setting and would like to impress your clients, add glass floors! Count on the expert installers at GlassMogul to get your job done professionally, on time, and within the allotted budget. We install and repair Coral Industries, EPOCH, IBP, Jockimo, MARAZZI, Merola Tile, MS International, Solistone, Splashback Tile, and Studio E floor systems to name a few. We perform work on all brands and styles, regardless of how old they are. When it comes to installing new glass floors, we offer clear, mesh-mounted, panel, solid, stair, structured, tempered, and tile flooring.